It’s that time of the year again. Time to stay in front of your screens- mobiles, laptops and otherwise. With millions of products to choose from and discounts up to 50% or even more, you can be ‘unreasonable’ about what you want/desire/need to buy. 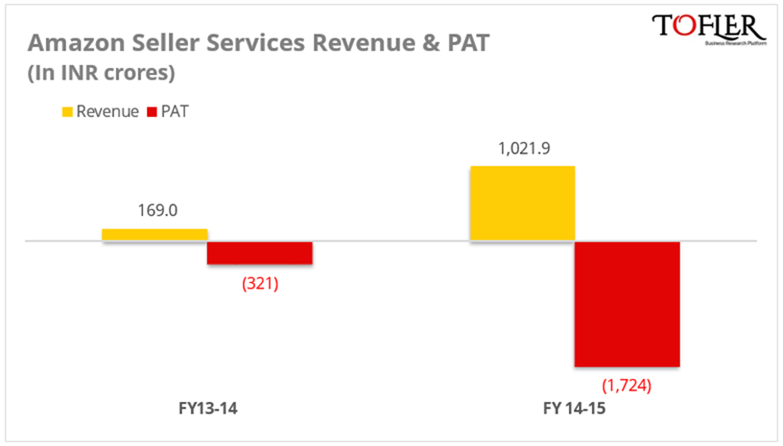 Out of this, INR 977 crores was the revenue from operations. Last fiscal they had reported a revenue and loss of INR 169 crores and INR 321 crores, respectively. In comparison, rival Snapdeal had reported a revenue of INR 938 crores in the same period, with a loss of INR 1319 crores. Income from marketing support services from marketing and promotional services provided to its group companies. 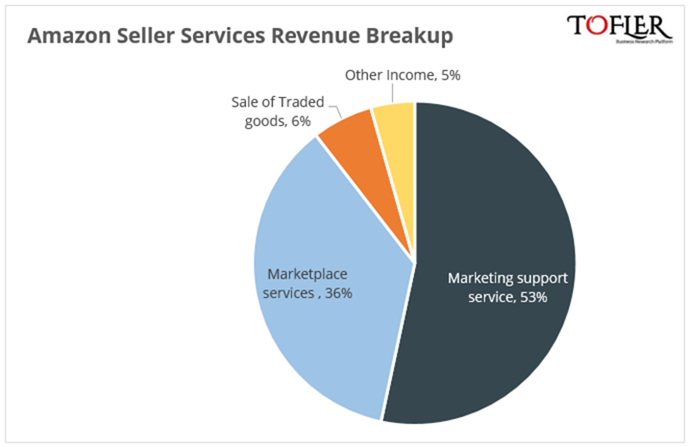 Income from marketplace services from operating an internet portal, which facilitates online sale of goods by registered merchants. Sale of traded goods which includes Kindle book reader and its accessories. Amazon was founded by Jeff Bezos in 1994. It started out as a bookstore and later included Movie and TV shows, and has gone on to expand to various category of products including e-readers, electronics, apparels, food, software, etc. Apart from the E-commerce business, it also offers a cloud computing platform and is the largest provider of Infrastructure as a Service (IaaS) in the world. The company launched its e-commerce platform in India in June 2013. Amazon also operates ‘Pay with Amazon’, a payment processing service and ‘Amazon Business’, a members-only B2B website which sells business supplies and other products at wholesale prices and in bulk quantities to businesses. These are operated by Amazon Online Distribution Services Private Limited and Amazon Wholesale (India) Private Limited respectively. Amazon is also into direct selling business model in India through Cloudtail, the largest seller on Amazon India’s platform, which is a JV between Amazon.com Inc. and N.R. Narayana Murthy’s Catamaran Ventures. 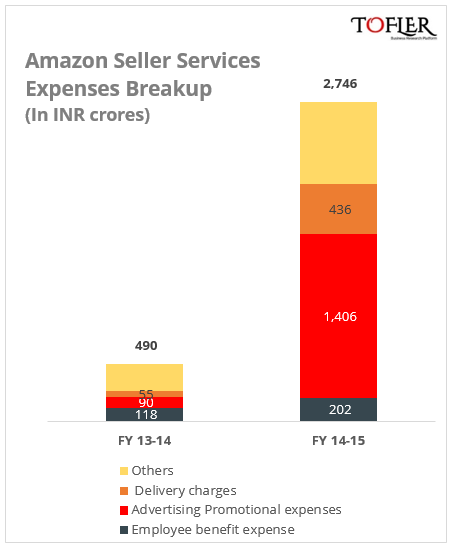 Flipkart and Snapdeal dominate the market in India, while Amazon India is the third largest player in the online retail market in the country with 15% share of the pie. Interestingly, Tiger Global has a significant investment in US listed Amazon.com Inc. as well as its Indian rival Flipkart. Online retail accounts for less than 1% of the total retail market in India, a fact that has attracted a number of players in the segment. Aided by rapidly growing usage of mobile internet, the sector has witnessed meteoric growth. E-commerce has attracted huge investments from across the globe as the USD 7 billion Indian digital ecommerce market grows more than 40% every year. Global players like Amazon and Alibaba (through Snapdeal and Paytm) have already established a strong foothold in the country while the first mover and home grown Flipkart still leads the segment. All of these companies have been burning excessive cash to promote and strengthen their position in the Indian market, still without a clear winner in sight. 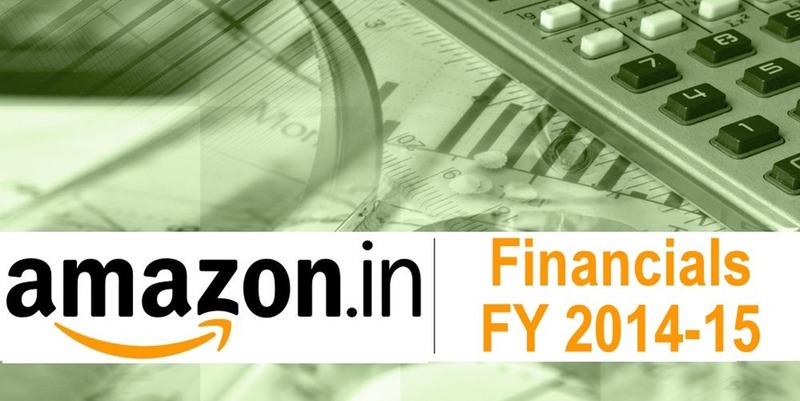 "Amazon India Financials: Revenue at INR 1022Cr with a Loss of INR 1724Cr in FY 2014-15", 5 out of 5 based on 4 ratings.